A funny (but not unexpected) thing happened sometime around 1990. New sports cars finally got faster than the beasts of the late 1960s. Sure, many cars from the 70s/80s were better than the fuel sucking tire annihilators of the muscle era, but they were generally slower...until the geeks in the engineering departments around the world figured out how to build cars that were safe, low polluting, inexpensive...and fast. 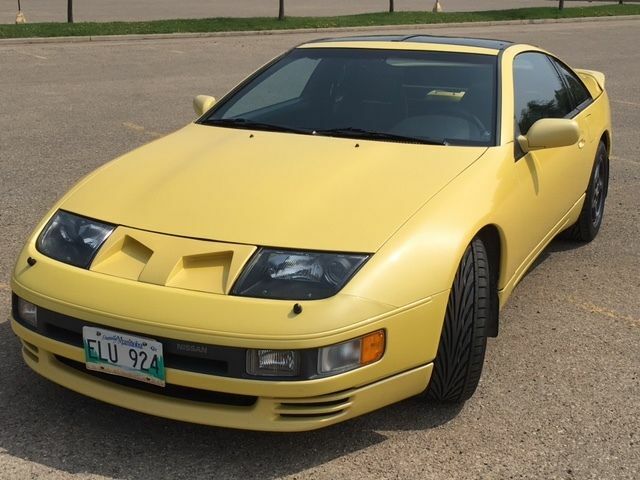 Find this 1990 Nissan 300ZX Twin Turbo here on eBay bidding for $4,850 CAD ($3,723 USD) reserve-not-met with 3 Canadian days (2.5 US days) to go. This post is part of DT's 2016 Birthday Celebration of 100 cars; enjoy the ride! The 300ZX was a 2 door sports car from Nissan during the great Japanese sports car boom of the 1990s and featured a host of technology in a Isao Sono & Toshio Yamashita designed body. The Z32 300ZX is powered by Nissan's VG30DETT engine, turbocharged and intercooled for a whopping 300 horsepower and 283 ft-lbs of torque. 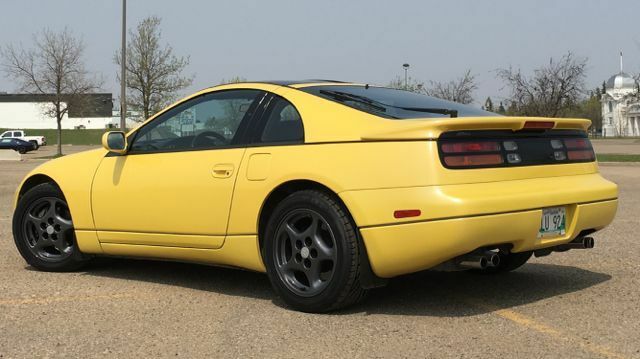 The 300ZX didn't get a 6-spd like its Japanese competition, but the 5-spd was durable as long as you didn't turn up too much boost. Welcome to the 1990s...the era when cars ruled the world. What a great car. Not too jazzed about the color on this one, but I had a '91 model and loved it. Bought it used from a friend's dad with only 22k and put a solid 60k on it with upgraded air box, ECU, pulley and full exhaust. Ran like a champ and was really a solid car at any speed. Really hard to find these cars clean with decent miles. It always played second fiddle to the Supra of the same era. A good buddy had a '93 Supra TT and it was indeed faster in a straight line, but in the twisties he preferred my car bit.